As Facebook prepares to roll all its messaging services together (including WhatsApp and Instagram), it might also turn back the clock and reintegrate Messenger back its its main app. 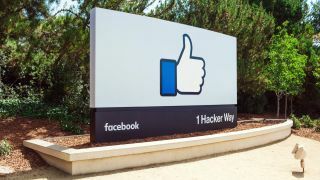 Researcher Jane Manchun Wong spotted the familiar Messenger logo at the top of the main Facebook app. When tapped it revealed a 'Chats' section, which provided basic messaging functions. So far, the Chats feature doesn't allow users to perform more advanced tasks, like reacting to messages, making calls or sending images. Those features might appear in a future update, but Wong says she believes the Messenger app and Chats "serve different markets". Facebook released Messenger as a standalone app in 2011 and removed its features from the main Facebook app in 2014, but this new move is unlikely to be a case of simply turning back the clock. We'll be interested to see if conversations from WhatsApp and Instagram will also be accessible in a simplified form through the Chats feature. In January, Facebook CEO Mark Zuckerberg ordered developers to rebuild the company's messaging services "at their most basic levels" so that they all work the same way. This would allow messages sent using one service to be read on another, and the Facebook app's new chat feature would be a handy place to pool them all together in a simplified form.